Measure by weight. Add to formula as directed.. COMMENTS: this is a great ewax. works beautifully in emulsified scrubs. COMMENTS: This is a wonderful emulsifier. I use it to make clay face masks and have found it gives my products a nice, smooth, mousse like feel. It makes my product glide on effortlessly and also makes it a little easier to wash off. I was stumped on which emulsifier to use and I am glad I chose this one. Will be buying again! COMMENTS: I love using this soft and silky emulsifying wax in my homemade lotions and sugar scrubs. It gives my products a nice feel that the other emulsifying waxes don't. COMMENTS: This wax works wonderfully in my products. I wanted to try out the other emulsifiers, but this one is just too good. Definitely recommend. COMMENTS: This product works perfectly in my lotions, love the feeling and I also used this in my body butters, especially in summer. "Get it! Try it and you won't regret it! " COMMENTS: Ingredient used in my recent sugar scrub recipe. Performed beautifully, sold out of all product. COMMENTS: Melts wonderfully and gives my scrubs a silky feeling when washed off. Doesn’t feel like wax. Just soft and silky. COMMENTS: Love the way this product makes my lotions feel, so soft and smooth. COMMENTS: I like this Wax! It does what is needed for my lotions. Although I use good oils, this just helps make it smooth and silky feeling. COMMENTS: This will definitely be my preferred wax from now on. It blends so much smoother than other waxes I've tried in the past and it doesn't take as long to cool down either. Also, it doesn't have that waxy texture which can be a real bummer in your lotion. "Perfect addition to sugar scrub!!" COMMENTS: I use this wax in lotions and scrubs. I like how moisturizing even after it is incorporated with sugar or salt. Great additive in my heel helper as well. "Perfect for so many things!" COMMENTS: I’ve used this to make thinner everyday lotions to super thick shave lotions and it is perfect. Adds softness to a lotion that’s super easy to blend. Rinses clean in shower lotion applications. Makes a excellent emulsifier in shower shave lotion! I’m in love with this product and will be getting a bigger bag! COMMENTS: Best eWax that I have used. I won't buy anything else! • Very smooth silky feeling. COMMENTS: Makes all the whipped butter really silky smooth. I initially bought it for the shea butter in the lotion bars because sometimes it turns out grainy. Now, no more problems, extremely smooth. Highly recommended. COMMENTS: I add this to my lotion bar recipe. Adds a nice silky feel and soft glide. COMMENTS: I used this in the luxury lotion recipe the lotion came out silky & thick & creamy. "I use this in almost everything!" COMMENTS: I add this to lip balms, cp soap, body butter, and in my foaming bath whip that I make from scratch. In cp soap, it adds a nice creamy texture. In lip balms, it does the same, but also helps cut back the grainy feeling. In body butter, in helps reduce greasiness. Adding this to my foaming bath whip, the texture is like silk, but the after feel is like lotion! I will definitely keep this on hand! COMMENTS: I originally tried the traditional Emulsifying wax, which is a good product, and then I tried the Emulsifying Wax Soft & Silky , which took my lotion to a whole new level. Easy to use, and helped me get into making lotions from scratch and creating my own formula. It truly give lotion a light and soft feel. Makes the lotion making process super easy. Goes a long way, too. COMMENTS: I used this product in my lotions as well as soaps. I like the way it melts. This product does not leave any residue behind. It works very well. Only thing I did not like is the heavy wax feel in the product. COMMENTS: Made an excellent body butter! "Love using this in my lotions!!" COMMENTS: Love using this in my from scratch lotion base. It lets me load up my lotions with lots of good water based liquids and oil/butters and still emulsifies them all together. 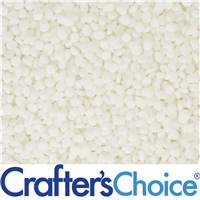 Emulsifying wax lets you use 2x as much water in your emulsification as you normally would. COMMENTS: I think I may switch to this ! COMMENTS: I just love this wax, so much better than regular emulsified wax as it imparts a really solid feel to your products. I will always use this particular e-wax as I feel it makes the best end product. COMMENTS: great e wax its the only type I use. gets the job done and 2nd time repurchasing. COMMENTS: Use it in everything from face creams to body butters and scrubs. My lotions are my BEST seller. Sells out faster than my soaps. I cant keep them in stock in local stores once I sit out a "tester." People love the way my lotions are never greasy and leave a silky finish. This is my secret weapon. COMMENTS: I will not use any other emulsifier. This leaves the softest texture behind. You can work with your ratios and create thicker or thinner lotions. No gross smell. I love it! COMMENTS: What a lovely easy product. I’ve used a different product for years and finally decided to branch out. This truly gives a lovely silky feel to my lotions. Did I mention how easy it was? Will be reordering. Loving wholesale plus for the high quality products, and reasonable prices. "E Wax - Soft & Silky"
COMMENTS: Easy to work with. Best e-wax I've used for lotions. Emulsifies well. Lotion had a nice slip to it and felt silky - did not drag. Lotion quickly absorbs. COMMENTS: Used this in my emulsified sugar scrubs. Worked perfectly. COMMENTS: I used this for emulsified scrub and lotion. Felt silky going on, and absorbed well. No problems with emulsification. "Emulsifying Wax - Soft & Silky"
COMMENTS: Excellent Emulsifying Wax. Makes lotions Silky and smooth. Easy to work with. COMMENTS: Silky feel. Little goes a long way. COMMENTS: This is hands down the best emulsifier that I have used and will continue to use this in all of my lotions and creams. COMMENTS: The first time I used this, my lotion came out smooth and creamy. I could definitely see a difference in the way it looked and felt. COMMENTS: There's nothing about this product that I did not like. It is easy to use works well in my mixes and creates a wonderful lotion. COMMENTS: My customers rave about how my lotion feels on their skin. This e-wax is my secret. "Really is Soft & Silky!" COMMENTS: This made my emulsified scrub texture perfection. My lotions stayed light and silky soft. I will keep coming back for more! COMMENTS: I just used this today in some lotion. The lotion does have a nice texture to it. I don't know if the smooth consistency is due to the wax or the recipe itself as I did not use a lot of liquid. However this blended very nicely and I like the finished product. "Made my cream look professional "
COMMENTS: Will keep buying only this! COMMENTS: I like how this makes my lotions feel. Will buy again and have. COMMENTS: This is by far the best emulsifying wax I have used. If you want to make the highest quality lotions, this is the answer. COMMENTS: Exactly as described, Used in thin lotions. And actually I used to emulsified my sugar scrub, works great! COMMENTS: I have used it in my emulsified sugar scrubs and it feels amazing. I love how silky it is. COMMENTS: this is the only E wax i use ! COMMENTS: There's nothing about this wax that I did not like. It created a lighter and fluffier product(lotion). I normally use the regulary emulsifying wax, which creates a denser lotion. I like the soft & silky a lot better. • The end result of my product. COMMENTS: Love this ewax for lotions and creams. The end result is really nice and lighter than traditional ewax. COMMENTS: This emulsifier makes your lotion the creamiest ever. Almost too thick to call lotion. I absolutely loved it. "I won't use anything else"
COMMENTS: I will not use any other E-wax in my products. The silkiness of the lotions and scrubs is luxurious. I was using another brand of ewax and when I changed to the soft and silky my customers noticed and loved the new formulation. COMMENTS: I've never tried the regular one but this soft and silky Ewax is nice, melt easily and my scrubs come together nicely. I will try it with other products I make. COMMENTS: Creates a lighter feeling lotion than traditional emulsifying wax! COMMENTS: I love the way my Lotions feel with this emulsifier. "Absorbs quickly & creates a very light lotion." COMMENTS: I was very used to the normal emulsifying wax which makes a very thick lotion. When switching to the soft and silky wax, I was shocked at how light and airy my lotions became. I personally, prefer thicker lotions, so I do a combination of the soft and silky and regular e-wax and it is soooo amazing. It absorbs quickly into the skin and it is now necessary in all my lotion/body butter recipes. If i move onto making face lotions, I would definitely use just soft and silky for a light cream. COMMENTS: So far i have only tried the natural EW and this one. When i initially purchased the natural EW, i purchased 1lb plus the sample size of this soft & silky just to try it out. I have to admit, I really love how the soft & silky EW makes my lotions feel. I have been using it - sparingly - in my basil acne face cream and my customers ALWAYS comment on how they love how the lotion makes their faces feel. I will continue to buy this but i also intend to try the conditioning one for hair conditioners. COMMENTS: I bought this because they were out of the traditional ewax. I was a little hesitiant but it turned out wonderful!! Will be buying again!!! So Smooth and silky! COMMENTS: I use this for making my face lotions. Makes my lotion light and not too heavy like a body lotion. I will definitely continue to buy this for my face lotions. Not to mention it is a great price. COMMENTS: I never tried the other regular one but this soft and silky is amaze-ballz. used it in my body butter and just cant get enough of how smooth and wonderful it is. socking up on this. COMMENTS: I really like this emulsifier for my lotions! It gives a nice creamy consistency and my customers are happy with the results!! COMMENTS: This works great in my spray leave-in conditioner. COMMENTS: This is such a excellent product. I use this in so many lotions and conditioners idk what I would do without it! COMMENTS: Recently made some creams and lotions with the soft and silky emulsifying wax not expecting much of a difference from the traditional emulsifying wax but it has exceeded my expectations. Leaves your skin so soft and silky without the greasiness. My husband comments on how soft and smooth my skin feels. Can't wait to promote my newly made products made with this wax to my customers! "it is soft and silky"
COMMENTS: Love the simple no must no fuss packaging when it comes to using. COMMENTS: This E-wax performed beautifully in my emulsifying sugar scrub. Melting period was fine, but when it's cooling I suggest you act fast as you're adding your other ingredients, it may cool quickly and clump up. I acted fast and mixed all my ingredients vigorously to keep the smooth texture. Once everything is incorporated it will keep its integrity. I plan on ordering more when I run out. COMMENTS: Makes a wonderful lotion loved by my customers. I personally still find it a little greasy after applying, but i am really sensitive, my customers dont notice. Mixes in really well and I have had no separation at all. COMMENTS: Love this product! Was afraid at first since it is a wax but the feel of it in my products has been very rewarding. Having dry skin everyday of your life can be stressful, but this wax helps my lotions feel amazing on the skin. Truly in love. COMMENTS: The best by far! I love the silky feeling my lotions give using the Soft and Silky Emulsifying Wax. No skidding, not tacky, just pure glide. COMMENTS: Very Moisturizing in scrubs, Great Product!!! "We LOVE soft and silky skin!" COMMENTS: We have been using this product for a while to make lotions and emulsified sugar scrubs, and it works every time! One time we ran out, and had to use an E-Wax from another supplier; we noticed the difference instantly. This emulsifying wax truly adds a silky feel to our products, and we will not stray from it ever again. "My New Go-to E Wax"
COMMENTS: I used to use a traditional E-Wax from another supplier and then I saw a video of someone making lotion using the CC E Wax Soft & Silky, so I decided to give it a try. OMG! This is now my go-to E Wax for my lotion formulas. It leaves skin feeling so soft and silky that people even comment on how soft their skin feels. This is a fantastic product!! COMMENTS: This is my favorite emulsifier! It's a staple on my shelf for all my lotions and creams. It adds the softness and silkiness I need. COMMENTS: Great product. Use it all the time in cold process, lotions, and creams. COMMENTS: I use this in my sugar scrubs - love it ! COMMENTS: This makes a wonderful lotion. It is as the name implies soft and silky. "Emulsifying Wax - Soft & Silky "
COMMENTS: A good addition to my body butters. COMMENTS: Just used this soft and silky e-wax for the first time. I usually use the regular E-wax but the soft and silky made my in-shower lotion light and fluffy. Looked like marshmallow and feels great. Will be using it again. COMMENTS: Adds a wonderfully soft smooth silky feel and easy to use. COMMENTS: I used this in my first attempt at lotion from scratch. The lotion was light and fluffy. Very easy product to use and it works well. "Loving the feel of this scrub"
COMMENTS: My customers are SO happy with how soft this makes my sugar scrub. They can't get enough! Will never use anything else!! COMMENTS: Best e wax I have used! COMMENTS: I've tried this one and the regular e-wax and there is a difference in the feel of the final product. I do think this does make the lotion feel soft & silky, as the name implies. COMMENTS: So far I am totally in love with this. I used it in a face cream I made, it was super soft and sloky. It had an easy glide to it. Will be trying it other formulations as well. COMMENTS: I like this version the most out of all the e waxes. It gives a lighter lotion feel. If you're making a cream however, the traditional wax might give a better protective feel. Where as this one will be lighter. COMMENTS: Makes a silky, smooth finish in my lotions. Super easy to work with. Recommended. COMMENTS: I love this emulsifying wax! It provides a wonderful feel to my lotions and body butters! It is super easy to work with and I haven't had any issues using it in any of my formulations. COMMENTS: Emulsifies without issue and leaves a soft, almost powdery feel after application. COMMENTS: I am absolutely loving this Emulsifying Wax! I use it in my hand lotions and face creams. It leave a very silk feel to my products that my customers absolutely love! I would highly recommend it. I have not tried it in anything else yet, but I am excited to! "Great in lotion bars "
COMMENTS: This product works great in lotion bars gives a silky feel to the product. "Emulsify wax soft & silky"
COMMENTS: Love this e-wax! It's the one I use for most of my cream & lotion recipes.
" Emulsifying Wax - Soft & Silky"
COMMENTS: A keeper...soft and silky is the perfect name for this emulsifying wax, will not change from using in my products. COMMENTS: Great product to add to lotions or scrubs. This really gives a nice feeling to your products. COMMENTS: Very nice e-wax and melts easily and does the job well. COMMENTS: Perfect for lotions, made the lotion rich and thick!! COMMENTS: Used this for binding a scrub and it worked really well. Keeps things from melting. COMMENTS: made a lotion with this. Worked well and I will purchase again. COMMENTS: Making lotion that isn't greasy to the touch is sometimes a challenge. However, I loved the feel of my body butter when made with this emulsifier. As advertised, the body butter felt soft and silky, with no drag or oiliness. Will be ordering this for my fall line. COMMENTS: I absolutely love this in my emulsified sugar scrub and handmade lotion recipes. The texture is great and I would highly recommended this for everyone. I will definitely be buying this again in larger bag! "Perfect in my emulsified sugar scrubs!" COMMENTS: The name says it all!! I love the way it makes my scrubs feel! COMMENTS: I use this in all my lotions and people just rave about it. I cant keep lotions in stock! COMMENTS: I use this in my lotion and it makes the lotion feel so rich and creamy! COMMENTS: Makes your body butter light and silky. The original wax is very good but I worried some would find it to heavy for summer. The soft and silky e wax makes body butter light has an almost geek like consistenc but does not compromise it's integrity. COMMENTS: This is really great product and a must have for lotions. I used it to make a moisturizing no soap face wash and added argon oil to, it turned out great! COMMENTS: I love this wax. I have used other wax from other company's but nothing comes close to the silkyness and softness of this wax. It makes my lotion feel smooth and not oily either. "I use it in lotions"
COMMENTS: This really gives my lotions the soft and silky feel!!! I love it and so do my customers!!! COMMENTS: Emulsifying Wax - Soft & Silky really adds to the experience of using a lotion. Very nice and smooth. I will use this product with other things that I make too. COMMENTS: The name does this justice. This gives my lotions and creams a delectable fluffy texture that leaves a silky,powder like finish on the skin. "Top of the line product"
COMMENTS: This is an amazing product. It makes my products silky and soft. It's a keeper. Don't ever stop stocking this, please. "Soft and silky just like the name"
COMMENTS: I have used regular emulsifying wax in my goat milk lotions before and they were good. But when I switched to using the Soft and Silky emulsifying wax I couldn't believe the difference. The lotion is glides across my skin and soaks in leaving this incredibly silky soft feel. It never feels heavy or pasty. COMMENTS: Love this for use with my body creams. It gives them a texture that is lighter and less waxy than the traditional wax with a slightly powdery feel, but one that isn't that noticeable. The customers keep on coming back. "I enjoy this product a great deal!" COMMENTS: This adds a silky smooth glide to your lotion and sugar scrubs. Fantastic product. Well worth it. Makes your ordinary lotion extraordinary. COMMENTS: This gives silky feel to my lotions as it is not as "stick" as the traditional E-wax. COMMENTS: I have tried other E waxes in my lotions and scrubs but this Soft and silky is by far the BEST. It does exactly what it says and leaves your skin feeling so amazingly soft and silky I LOVE IT and will not use anything else ever again! COMMENTS: This product leaves such a lovely soft feel on the skin and it is so easy to use. COMMENTS: Makes a very soft body lotion. Will def. buy again. COMMENTS: This product works wonderfully in my body creams and lotions. It works exactly as the description says it does. Will continue to use this product in the future. "Fantastic for my lotions. " COMMENTS: This is the only E wax I will use. I just love what it does for my lotions, and so do my customers! COMMENTS: Makes a very silky lotion. Will purchase again. "Emulsifying Wax Soft & Silky"
COMMENTS: I use this in my sugar scrubs. This is excellent quality and gives my product a very soft silky feel. I tried others but this is the best. Will buy more. "Soft and Silky Emulsifying wax"
COMMENTS: Used this in making Shampoo and Conditioners as well as in lotions, was easy to use and worked well for what I needed, another staple for my raw materials. COMMENTS: This is a great product; works just as expected (or even better) when making my lotions from scratch. COMMENTS: Easy to use and measure. Works great in my scrubs. Love the way it feels. "OMG So creamy and beautiful"
COMMENTS: I didn't think my soap could look anymore creamier than it did using this soft and silk Emulsifying Wax. This wax made a difference in my lotion. My lotion was so creamy and beautiful you wouldn't believe how good this stuff works. I am ordering more and more and more, I want to give me and my customers the best of the best products. "Wonderful Soft & Silky Emulsifying Wax"
COMMENTS: We love this in our emulsifying sugar scrubs and lotions! Soft & Silky! COMMENTS: I love using this for my lotions. Makes hands soft and smooth. COMMENTS: This wax is perfect for keeping lotions and butters from separating. I tried natural methods, like beeswax and borax, but it always ended up separating. Save yourself the trouble and use this wax. I also like the large flakes, they are super easy to work with. COMMENTS: Leaves my lotions feeling nice and smooth. Easy to melt the very thin flakes. Very nice. COMMENTS: Soft and silky says it all-great finish to all my lotions. COMMENTS: Makes lotions very smooth to touch and isn't sticky. "Doesn't lie - Really Soft and Silky!" COMMENTS: I don't think I'll be buying any other emulsifying wax, this one feels wonderful! Easy to work with, melts with other butters, and really gives lotions a luxurious feel. No smell, so fragrance comes through well. Lotions don't run, very creamy. Couldn't ask more better. COMMENTS: Love the way my lotions feel and my customers love it as well. "Soft & Silky e wax"
COMMENTS: Worked well in an Emulsified sugar scrub. COMMENTS: I love this! And I love making my own lotions! COMMENTS: I bought a sample size of crafter's choice ewax soft and silky I can tell difference. No tackiness! Other ewaxes leave a tacky feeling and I would hate to lotion my legs and then put on my pants. For smooth and non tackiness in a lotion, I would recommend soft and silky ewax. COMMENTS: I love this product so much! It made my sugar scrub extremely silky on the skin. I will be reordering this for sure.